Please check out my reviews on the website! I appreciate anyone looking at my work. 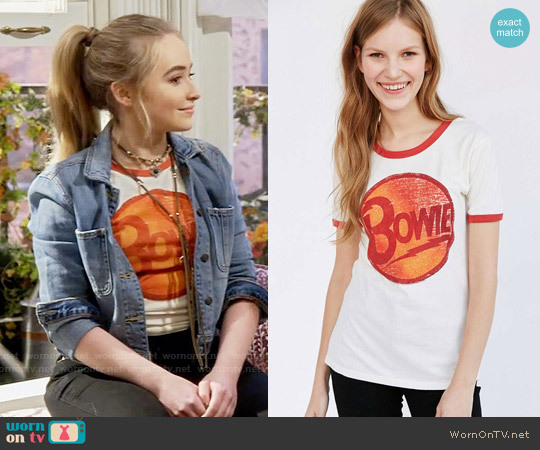 For more on the fashion from Girl Meets World, please keep reading. This was such a cute Riley top, and I love that it’s from Zara. 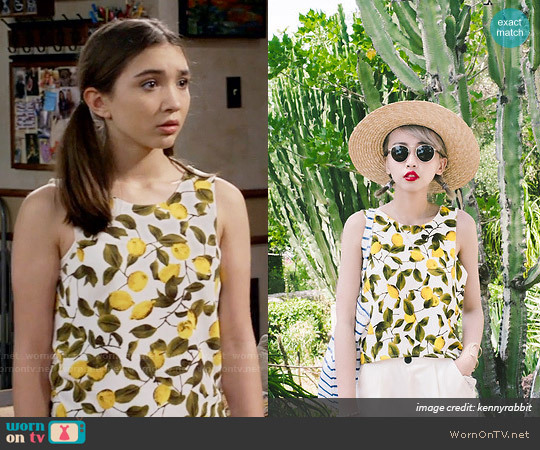 Her style is very girly and preppy in this episode and this boxy lemon print tank and pigtails prove to be a nice contrast to Maya’s edgier looks. 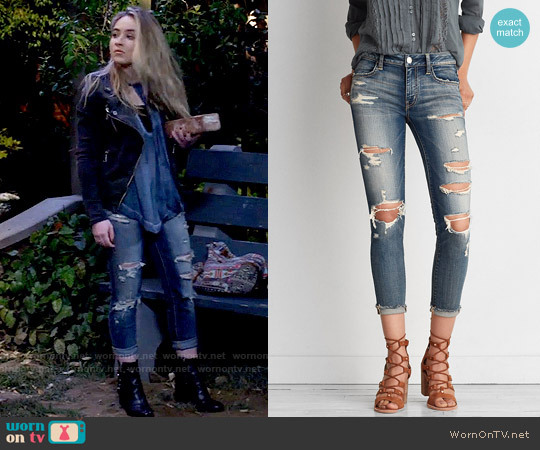 I loved this first look from the “old Maya” because it’s super edgy, and I couldn’t picture Riley wearing this. I loved the Bowie shirt with the jean jacket. The necklace was a nice touch and I left the link to it above. I also loved the ripped jeans here. Distressed jeans was a trend way back when I was too young for them, but I love that the trend is back. This is a classic Riley blouse. It’s a color I think we’ve seen her in a bit and the embroidered top and blue jeans is what makes Riley’s style more feminine and sweet compared to Maya’s. I hope you enjoyed this quick post 🙂 Thanks to WornOnTV for all the photos provided and please check out the website for more fashion on television.